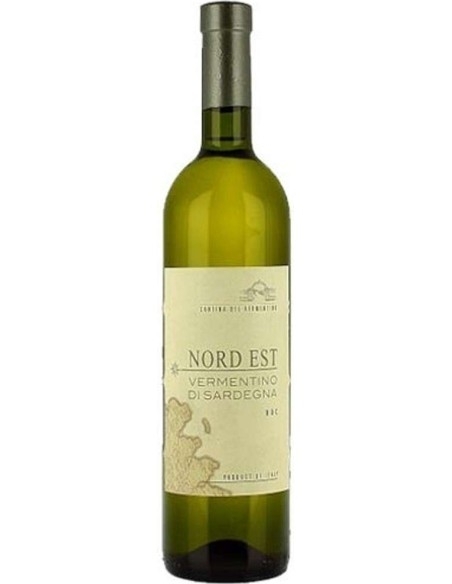 Nord-Est of Cantina del Vermentino is a white wine obtained from Vermentino di Sardegna grapes, with Denomination of Controlled Origin. 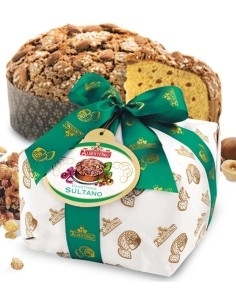 It has a straw-yellow color with greenish reflections, a bouquet with a hint of bitter almond and a dry taste. 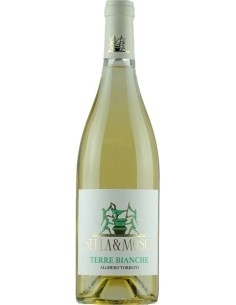 It is excellent to combine with seafood, fish and shellfish. Thanks to the viticultural culture and the will of mountain farmers, the territory is adorned over the years with many small vineyards. 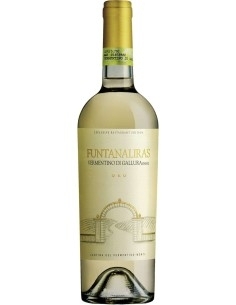 And, twenty-two far-sighted winemakers in July 1956 to ensure adequate processing of the grape harvests give life to the Cantina Sociale del Vermentino whose name pays tribute to the noblest of the Gallura vines. Today the winery is made up of 350 members who cultivate the 500 hectares in the territories of Monti, Telti, Olbia, Loiri Porto San Paolo, to give selected grapes based on elegant, refined and original wines. The winery, immersed in three hectares of oaks, welcomes the production process from gentle destemming to storage in temperature-controlled rooms. The barrel room characterized by the portal, of clear Aragonese origin, brand logo of the Cellar, made of granite, welcomes visitors who want to know the evolution in barrels or tonneaux, 2500-500 liters and the refinement of excellent wines in bottle. 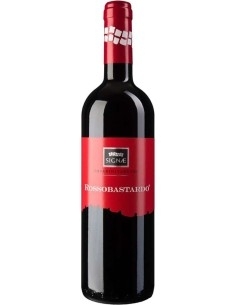 It is the wine of Oristano and Sartiglia, and with the version "macerazione" wanted to create a modern style, and at the same time traditional, this great wine, best known in Flor style. 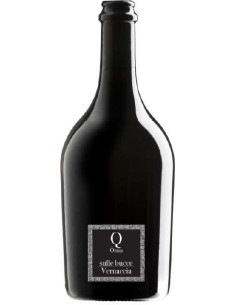 It is a fruity, sharp, spicy and intense oil, born from the cold squeezing of the whole olives of Nocellara del Belice, Biancolilla and Cerasuola, blended together.